Is GVT for you? Here is how you can make serious gains and using German Volume Training. 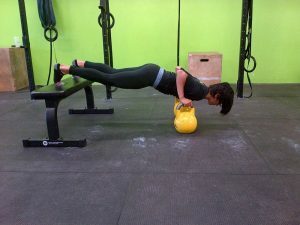 I’ve learned a lot about German volume Training recently as we looked at ways of changing the randomness of CrossFit training routines into a structured and progressive program. GVT, or also called progressive volume training, was developed and used by bodybuilders and strongmen of the old days. It has seen a revival in the last ten years as coaches and athletes have brought it back, explaining how it can benefit athletes at the middle and higher ends of their careers. The concept of German volume training is simple. Do ten sets of 10 of each exercise in your program. Hit each muscle group just once every 5 to 7 days. Use a 3 or 4-day split program, and use as many compound movements as possible, while limiting training to around 65 to 90 minutes or less. While the rules are simple, planning and executing it have proven to be a challenge for many. First, we have to acknowledge that this style of training is grueling. It takes more than a typical CrossFit mindset because it doesn’t allow the athlete to be creative with training, and it doesn’t change every day! Grueling workouts are synonymous with arduous, monotonous, tedious, difficult. However, anyone out there who wanted significant gains and found themselves at a plateau for several months knows that patience and perseverance are essential to success. The level of demand placed on your muscles and nervous system has proven time and again to get major results for all types of athletes. This system was even used in the Olympic weightlifting system by coaches looking for some serious mass gains in their athletes who needed to increase muscle volume before working on improving strength. It’s important to note that anyone who is within their first two years of training probably does not need GVT to break a plateau. If you are experiencing one, turn to your current workout program, nutrition plan, or your lifestyle for answers. Are you training smart? Have you been eating a variety of clean, whole foods? Are you under a lot of undue stress or not sleeping well? When we are talking about the seasoned lifters, fitness geeks and bodybuilders, volume training might be the best answer. The first step is to find the ideal training schedule. Each workout should have 3 to 5 major exercises, which are, ideally, compound movements (squat, bench, deadlift, military press, etc.). Try to work with barbells or dumbbells often as possible, rather than machines like leg press. During the latter half of the sets, you’ll be forced to use muscles which are your weakest or laziest; the tiny postural muscles which should be working hard in compound sets but are often left behind. I should also warn you that you’ll be saying hello to soreness in muscles which haven’t been sore in months or years. Next, pay attention to load and intensity. You should be lifting around 60% to 65%1RM for your sets, and rest about 50 to 60 seconds between them. It will start off relatively easy, and finish with complete failure at the ending sets. While some GVT programs offer a superset version, I would recommend starting with the standard and seeing how it goes for 3 to 4 weeks. The next step for getting German volume training to be successful is to look at rest and recovery very seriously. Be sure that you are set up for proper nutrition. Ensure that your body is moving correctly, without pain or compensation for reduced mobility (quickly leads to injury with volume training). You should be eating plenty of whole foods, and consuming enough calories in a day to provide ample energy to cells and to grow and heal muscles and the nervous system. Be aware that this system takes a huge toll on your body and brain. That means that it should be strategically cycled in during a time of rest in your private life. High stress at work? Exam period at school? These are terrible moments to start a program like this, and will very likely lead to injury. Also, if you have hit a plateau in your training, be sure that it isn’t a result of over-training. These are hazardous places to be. If you are training for 3 hours per day, six days a week and don’t see results, there is something wrong with your programming or your ability to recover. If you fit the criteria and are willing to give yourself a few weeks of suffering and soreness for the greater good of your body, give German Volume Training a shot!